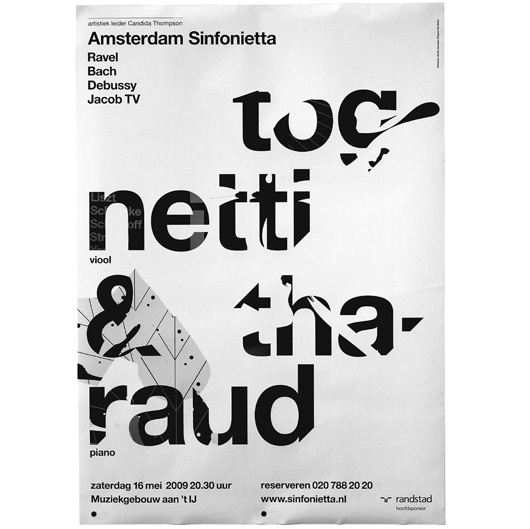 Amsterdam Sinfonietta Posters | Shelby White - The blog of artist, visual designer and entrepreneur Shelby White. 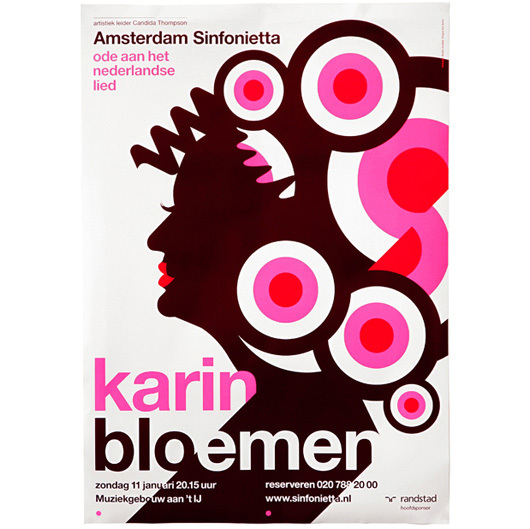 Rejane Dal Bello is a Netherlands based designer, originally from Rio de Janeiro, that works at Studio Dumbar. 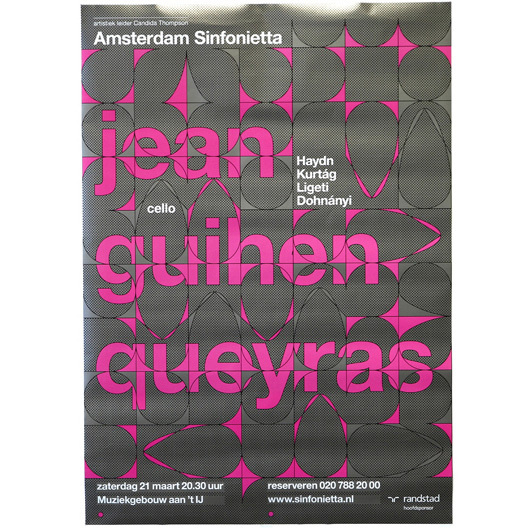 These posters were designed for Amsterdam Sinfonietta, an independent musical ensemble, consisting of mostly young musicians. 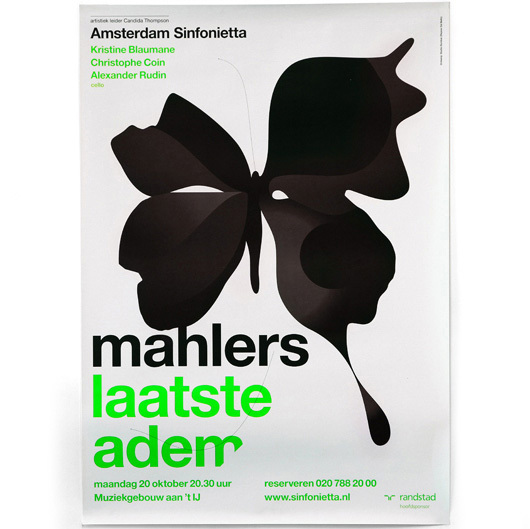 The series of posters were designed over two years. I think my favorite is the butterfly and the second from the bottom. Good post! Those were also my two main favorites. 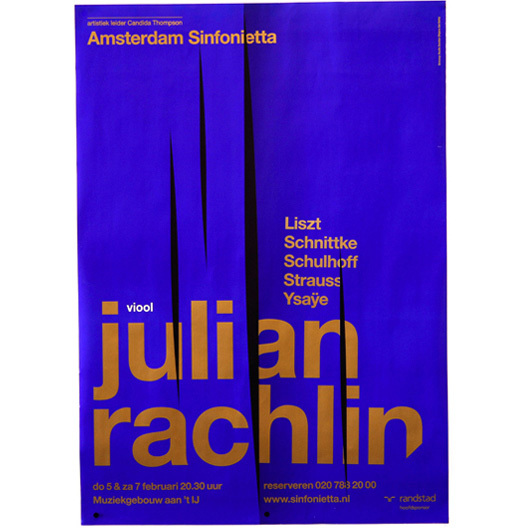 I’d love to obtain prints of these if they’re ever available to the public. 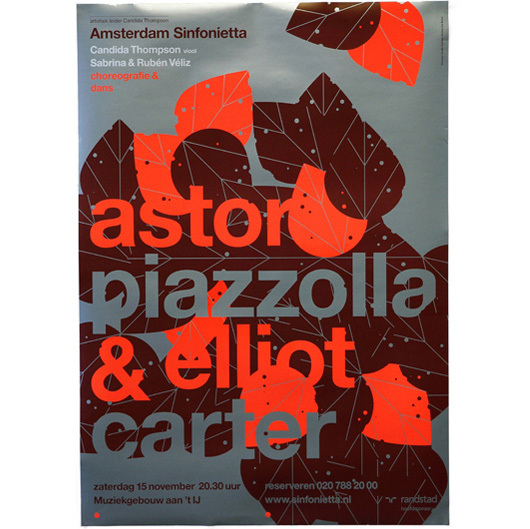 The leaf posters remind me of Charley Harper. I like.